We are offering Round Serving Cane Tray. 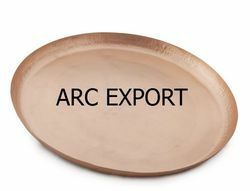 We are a known name in the market engaged in offering a wide range of Round Brass Serving tray and we also provide this in ceramic material. 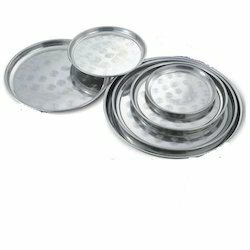 Metal Round Tray With Handle, Size/Dimension: 15x10"
A tray is a shallow platform designed for the carrying of items. It can be fashioned from numerous materials. Walnut wood carved round tray. Ø This Black Bone Inlay Round Tray is both elegant and exotic with its carved bone detailing which creates a stunning contrast against the black resin. • Availability : In Stock Of Both Material Aluminum Brass. • Every Size Available With Best Quality To Satisfy Our Suppliers. • Minimum Order Quantity ( -MOQ ) : 100 Pieces. • Maximum Order Quantity (+MOQ ) : 20000 Pieces. • Be the first review the item.